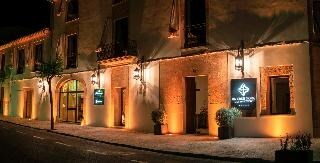 Situated in Campos in the Majorca Region, 11 km from Es Trenc Beach, Sa Creu Nova boasts a spa centre and hot tub. The hotel has a sauna and fitness centre, and guests can enjoy a drink at the bar. Every room at this hotel is air conditioned and comes with a flat-screen TV with satellite channels. Some units feature a seating area to relax in after a busy day. You will find a coffee machine and a kettle in the room. Every room comes with a private bathroom. Extras include bathrobes and slippers. Sa Creu Nova features free WiFi. Free use of bicycles and bike hire are available at this hotel and the area is popular for cycling. The hotel also offers car hire. Palma de Mallorca Airport is 28 km from the property.